Stylish, sophisticated and sculptural are three words that describe this bangle bracelet from Roberto Coin's Portofino collection. 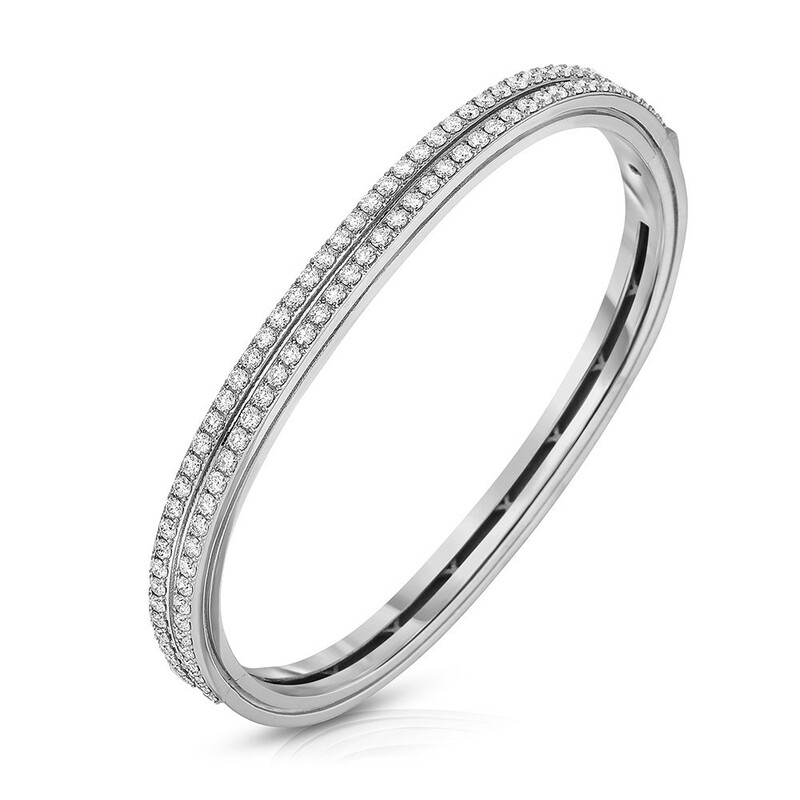 Crafted in 18K white gold, the pretty piece features two rows of white diamonds. Slip this Roberto Coin bangle bracelet on your wrist and shine on!